Yesterday I attended an event where I was asked to write down the first woman who came to mind that has inspired me ... I honestly can't remember when I first became smitten with Ms. Angelou but the road has been a long one. I love her words I love her strength I love her grace I love her courage I love her sassiness I love her beauty I love her voice I love what she believes in I love who she was and what she stood for She made no excuses. Many years ago I had the privilege of hearing her speak in person. It was and is one of the greatest moments of my life. 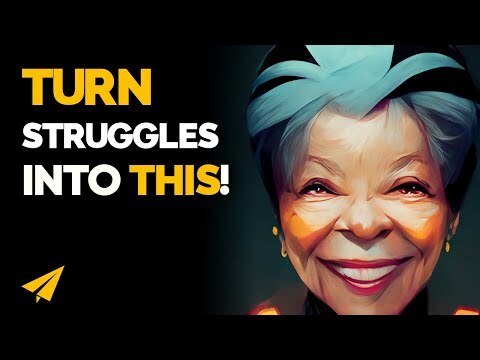 After watching this video I am reminded that I need to take her with me when I walk into a room, hold her hand, feel her support so that I will have the courage to claim my strength and own what is mine. I was lucky to hear Dr. Samantha Madhosingh speak about these same topics yesterday and while I took away many inspiring thoughts the one that sticks in my head the most is ... "No one is holding you back but YOU" Much of what she shared reminded me of Miss Maya; the way she spoke, the grace she embodied and the courage she inspired in the room. 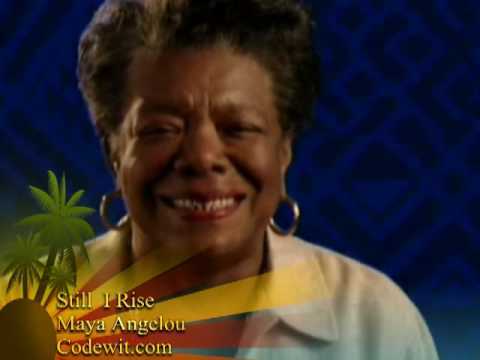 Why do I refer to Maya Angelou as Miss Maya you may ask? Where I grew up you would always address someone that you respected with Miss and then their name. I still do this to this day as a form of honor and reverence. For me, it is a way to say "Thank You" for all you have taught me, for all you have loved me, for all you have guided me through, and for all the strength you have imparted to me. I love Maya also and especially this poem of hers. Thanks for sharing!